1-CD-Album with 44-page booklet, 25 tracks. Playing time approx. 56 mns. Recordings made for RCA Records between 1954 and 1956. 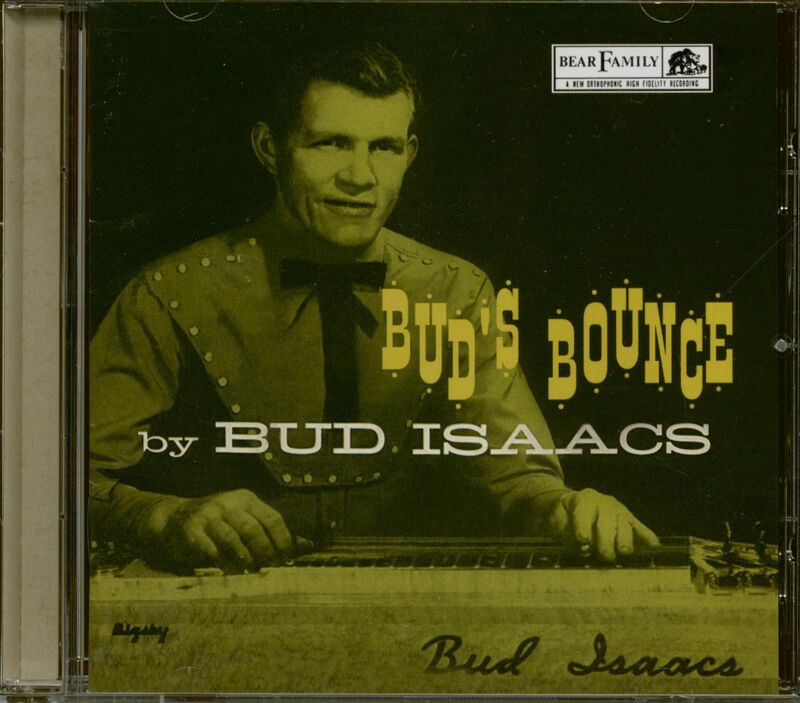 Originator of the pedal steel guitar. 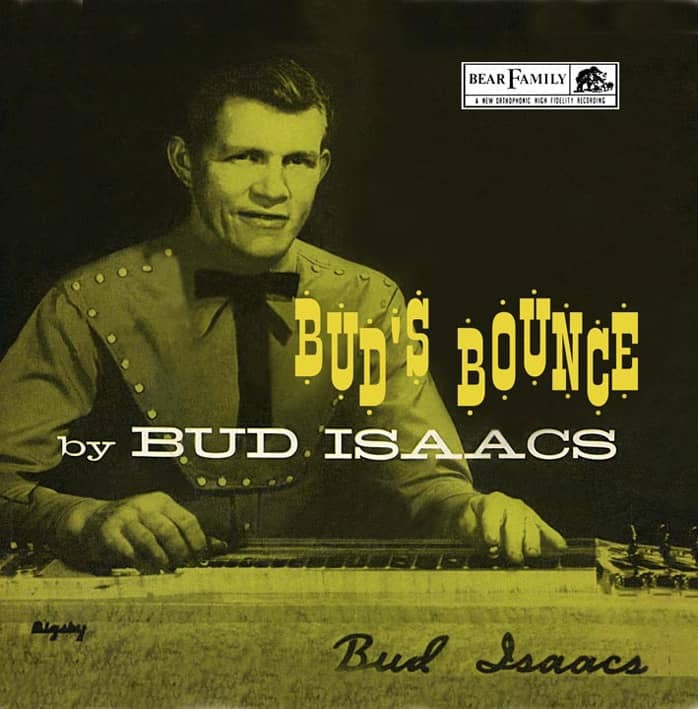 He played pedal steel guitar on Slowly by Webb Pierce, released in early 1954, the first number-one country hit featuring a pedal steel guitar. Over the course of two-and a-half years, Bud Isaacs recorded 25 titles for RCA. Slowly had only been one week in the charts when Isaacs’ did his first solo session on February 13, 1954 backed by the cream of Nashville’s session musicians including Chet Atkins on guitar, Bob Moore on bass, and Buddy Harmon on drums. The recordings demonstrate the then new instrument and Isaac’s virtuosity. The 25 sides on this compilation are definitive recordings of pedal steel instrumental artistry, originally released on eight singles, plus one EP. Absolutely essential performances that should never be allowed to go out of circulation. Carefully re-mastered from the original sources with liner notes by Eddie Stubbs. 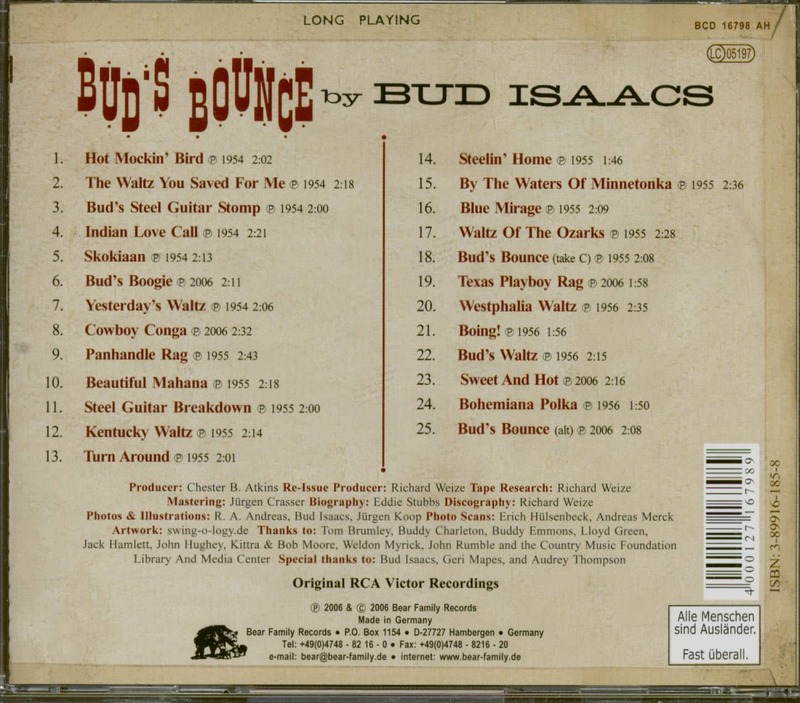 Record Labels: RCA Bud Isaacs, ein eigenwilliger Stilist auf der Steel Guitar, ist auf den frühen Aufnahmen von Chet Atkins zu hören. Außerdem wirkte er bei Jimmy Dickens und Red Foley mit. Daneben spielte Bud Isaacs auch ein paar Solo-L.P.s ein. Customer evaluation for "Bud's Bounce (CD)"